Every now and then the universe decides that I need to have some fun and it rewards me with free tickets. Sometimes I get free concert tickets. Sometimes it’s movie tickets. And everyone knows that I’m a huge SF Giants fan, so I can usually snag free tickets from friends during baseball season. A free ticket is almost always a good thing. It allows you to escape from reality and the mundane for a few hours. You can’t complain about having a bad seat if you got a free ticket. It’s a better view than not being there. And it’s free so you’ll have more money to spend on food, booze, and souvenirs. And if you have extra free tickets, you can scalp those and have even more money for food, booze, and souvenirs. 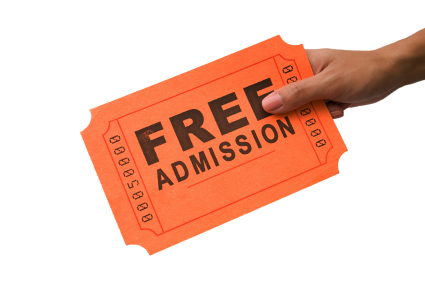 You should accept free tickets whenever the opportunity comes knocking.